If you’re looking for famous fictional characters who’ve changed culture, you can’t do much better than Sherlock Holmes. Sir Arthur Conan Doyle’s famous creation first hit bookshelves in 1888, and nearly 130 years later Sherlock is still memorialized in movies, books, and TV shows the world over. 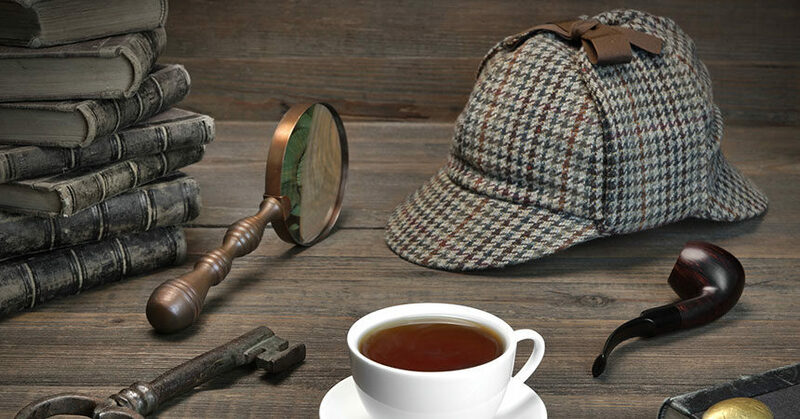 Why are we so enamored by Sherlock Holmes? The stories are compelling of course, but Sherlock calls out in us a key behavior people in every social tier long to emulate: the ability to change their circumstance by being unnaturally observant. Sherlock’s biggest attribute is this ability to see things others don’t, which leads him to crack case after case by finding leads and clues seemingly buried to everyone else. As your sale gets rolling, Sherlock’s greatest asset in solving crimes is your greatest asset in selling cars. Be observant, ask questions, and make sure you’re fluid in reacting to your customer. Go in with a plan, but understand that your client’s wants and needs could take it in a completely different direction. Observe where that path is going and react accordingly. In order to observe, though, you need to ask good questions and be a good listener. This is an essential two-part act with your prospective buyer, which gives you time to diagnose what they need. When you take your car into the shop for service, the mechanics don’t immediately start working on it without asking you about the problem and running a diagnostic, do they? Otherwise they might start working on the engine when the problem is in the transmission. Asking good questions is both a science and an art. The science is in the construction of the question itself, while the art is in your body language and tone while you relay it to your customer. Hitting the right tone is important, because pulling information out of your customer in order to best service their needs is the most important thing you can do early in a sale. Another thing to observe and call out in your client? Emotions. When I was eight, I took my first family trip to Disney World. In vivid detail, I can recall the way the cotton candy tasted, the feeling when I first met Mickey Mouse, and the immensity of the whole place. So why is it that I can remember that trip with such clarity and couldn’t even find my car after a movie last weekend? In short, because of the emotion tied to the former experience. You need to be Sherlock Holmes in observing which of your thoughtful questions they respond to most readily. Ask them questions about the feel of the car, or the specific amenities involved with the vehicle that might draw out an emotional response. Say you’re showing a minivan to the parents of three children, and you decide to highlight the fold-down TV screens in the backseat. By connecting them to their kids, are you creating a Disney World memory or a parking lot memory? Scientists have long connected memory and emotion in the way we process past events, and we have more evidence than ever that the two are cognitively intertwined. In 2014, a group of MIT neuroscientists definitively connected a neural pathway between two parts of our brain (the hippocampus and the amygdala) that associated memory with emotion. In essence, this means we now not only know that emotion and memory are connected, but we know that it can go either one of two ways: That memory either rewards us with a warm feeling, or punishes us with the remembrance of something negative. This is why it’s so important to tie in your sale with this sort of emotional memory, but it requires some observation. The best salespeople can pick up on emotional cues dropped by their prospective buyers on the back of the questions they ask. If this reminds you of Sherlock Holmes, it should. The most effective salespeople all have a little of the famous detective in them. We hope you enjoyed this adapted excerpt from 40-Day Sales Dare for Auto Sales by Jason Forrest, CEO & Chief Culture Officer at FPG (Forrest Performance Group). 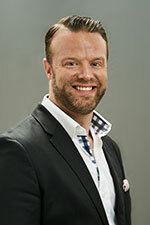 Jason is a leading authority in culture change programs and an expert at creating high-performance, high-profit, and “Best Place to Work” cultures. As a sales professional, author, speaker, and management coach, Jason’s job is to empower professionals and executives to unleash their human performance and master their leadership skills in sales, management, culture, and service. Connect with Jason @jforrestspeaker on Twitter, and on LinkedIn. For more information about FPG, please visit FPG.com.